marjie: Hello from Marjie and Amandine ! ! ! ! kazigoda: Hi Mary, we hope you're not too tired. Whealy: Great to see you again. natasja maters: are pim and luuk gone? Marsha: Hi Mary, thanks so much for coming along! maryblack: There is always a chance that I would tour with Frances. It is just finding the time. We are both busy. Mike: Mary... what about a folk album? mary black with dedannan... sort of like van did with the chiefatins? Whealy: Are there plans yet of when the next tour is coming to holland. janet: do you come next year again in holland? Whealy: Everytime i bring along more fans for you mary! k: looking forward to the london concert - have you sung at the Barbican before? It's a fantastic location! Koen NL: how old is she? round 17? Niamh: do roisin and danny get along? Mike: Is it Roisin singing the harmonies on St Kilda on the album? LOVE that song! maryblack: Mike, I love folk music and again there is always a chance that I do a folk album, it depends on how I am feeling at any given time. 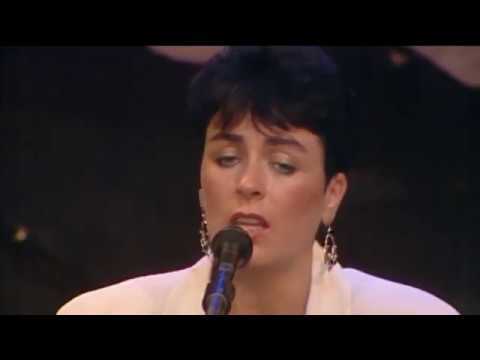 kazigoda: Roisin was a little girl when she sang "A Woman's Heart" with you in Osaka, 1997. It was such a memorable evening! bob: What is the content of your show, how much material from the new cd and from others? Mike: Mark Knopfler is releasing a duet album with Emmylou some time soon... sounds interesting! maryblack: Yes, Roisin is sing with me on the new album. Can't remember which songs again. Check the sleeve. celticoma: gotta go-grandkids here. Thanks so much Mary and Mark. Be well everyone!! kazigoda: I've been listening to Billie Holiday a lot these days. I'm "rediscovering" her music. Do you still listen to her albums? hans: the blackfamily is coing on, very good mary! Whealy: I sing it a lot. marijke: Hi Mary, Here Marijke, have you got the stroopwafels from your fans, so I take them monday!!!!! Unkka: Do you get to sing the songs YOU like or do you have to sing what the audience might like to hear? Leon: have you ever forgot your lyrics at a concert ? Darren: Mary you sang once with Maura O'Connell, Blue Train on TV, it was amazing, any idea where to get that footage or what show it was on? Jkelly: How often do you practice, or vocalize when you're touring? kazigoda: Ella Fitzgerald used to make them up, too.! maryblack: I am afraid I don't practice hardly at all. But I sing around the house. Whealy: Did you ever had lessons in singing? Marsha: Mary, thanks so much for your time. You're fabulous on and off stage, look forward to seeing you again soon. Mike: what's your favourite curry? maryblack: Phil, I don't remember playing in the spires. FionaMP: Do you think you'll continue to tour for a while yet ( indefinately even)............Please!! Leon: and if you had lessons, was it hard to do ? christel: Ever thought of covering a U2 song? Or is this not your cup of tea? maryblack: hans, are you from Cuas? maryblack: I never had singing lessons. but I was in great choir in school. Whealy: They just have it. Darren: You any plans to sing or tour with Eileen Laverty again? MARJIE AND AMANDINE: HOW ABOUT "SOULFUL SHADE OF BLUE" WRITTEN BY BUFFY SAINTE MARIE? Jkelly: Yeah, that's whayt he says! Leon: did you always want to be a singer ? huub: Mary, what other things do you like to do? hans: how do you like this way of communication with people from all over the world? maryblack: Yes, I always wanted to be a singer, but didn't have any great amitions to become famous as such. aryblack: I like to paint, I like to walk in the country and I love Gaelic Football and enjoy very much watching my children play. NiaC86: Are you a Kerry Supporter? maryblack: Sandy Denny wrote Full Moon. No doubt it is about someone she loved very much. christel: Do you have something like a ultimate goal in your professional life? Since you already reached the top? Mike: Mary... I'm coming to Dublin with my wife next month... can you recommend a bar that may have a good session going? zwiebel60: Mark, do you have tompoezen for Mary tonight? concerts, here in the Heartland of West. Nerbr. marijke: Is it possible to have a fanmeeting in Dingle in 2006?? I want to sing for you Mary! Whealy: is ther a difference between gealic football and another football? 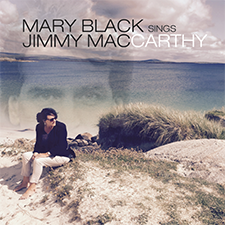 maryblack: I am very happy to be able to go out and tour in nice places and have people come to see me. That is success for me. huub: Mary, do you have pets? maryblack: Gaelic football is the best football game in the world! Unkka: I think it's great how you keep Irish alive. I'm a lingvist so that really concearns me. Whealy: I look it up on the internet! maryblack: Gaelic football is a cross between Rugby and Australian rules. It is very physical and very exciting. Jkelly: Mary, Please go to Nebraska before the poor man has a breakdown lol! kazigoda: Sounds like mobile wrestling! Whealy: It's were you grew up with. Was it with skating maybe that was a great sport. msetten (admin): We are closing down in about 5 minutes. so any pressing questions? Whealy: Oh thats great i dont like the contact in rugby. hans: no questions, but i want to thank you mary for your time and i hope to see you soon on stage again, love hans! huub: mary..your cd Full Tide is just out but are you already busy with a new album? zwiebel60: No question, but thank you both, Mary and Mark and thank you Mary for a great night yesterday in Groningen! Niamh: thanks for the chat - your music touches our hearts! Unkka: Still nagging about the EP, sorry. Is it going to be available anywhere else but on the website? Jkelly: If I sent you a link to my husbands website would you take a listen to his music? Whealy: I think its a hard sport with a lot of injurys. Nebraska: This is a 59 year old woman from Finglas Dublin! Whealy: What does EP mean. maryblack: For many years I have been a fan of Nancy Griffith. I was lucky enough to singing with her early on in my career and she was very very gratious. maryblack: Not yet busy with a new album. Taking a nice breather and promoting this one. Whealy: Do you know Allan Taylor, mary black. NiaC86: What is your favourite song of nancy's? Leon: mary, do you have an idol ? falchion: What is your favourite song on the new album? maryblack: Darren, please give Terry plenty of calls. I would be delighted. Unkka: Thanks, Mary. Loved having you here to lighten up my Sunday morning! Nebraska: OK! i'LL PUT THE WORD IN THE LIED CENTRE'S EARS AT lEAST WHO ARETHE PROMOTORS? huub: Mary do you have pets at your home..like cats? Darren: Just remembered a last question, have you ever heard of Karan Casey from Waterford? Mike: Mary... do you know what Dolores Keane is up to at the moment... not hedard anything about her for a long while?? Leon: what's the name of you pets ? christel: Mary when you're on a tour, do you get the opportunity to see something of the places you visit? Whealy: How many songs to get were you can choose of. maryblack: Listen guys... I am getting tired. It is has been a long couple of days and I think I should make my way home. hans: mary, time is running, sleep well and all the best in your life, may be till next time. trinity: thanks for staying up with us! Jkelly: Thanks so much for your time! maryblack: But I just like to thank you all for making the time to be part of this chat and to let you know I really appreciate your support. Whealy: John Wright sings a lovely song about a sheep dog and his herd????? Darren: Thanks so much again! Night safe home and see you all soon! kazigoda: Thank you so very much, Mary! We all LOVE you dearly! MARJIE AND AMANDINE: YOU'KK ALWAYS HAVE OUR LOVE AND SUPPORT. GOOD NIGHT. maryblack: Goodby and take care of yourselves.